Best Best Biotin Supplement of 2019: Do NOT Buy Before Reading This! Home » Review » Supplements » Let’s Know the Best Biotin Supplement Brand for Hair Growth! In today's health-conscious world, people are always searching for the best health supplements they can get. It is not surprising that there is a trend of searching for the best biotin supplement on the market for the current year. This article focuses on these so-called super vitamins and the benefits they offer for a healthier body. Biotin, also known as Vitamin B7 or Vitamin H, comes from the Greek word "biotos" which means "life." It is a water-soluble vitamin and can be derived from a healthy balanced diet. 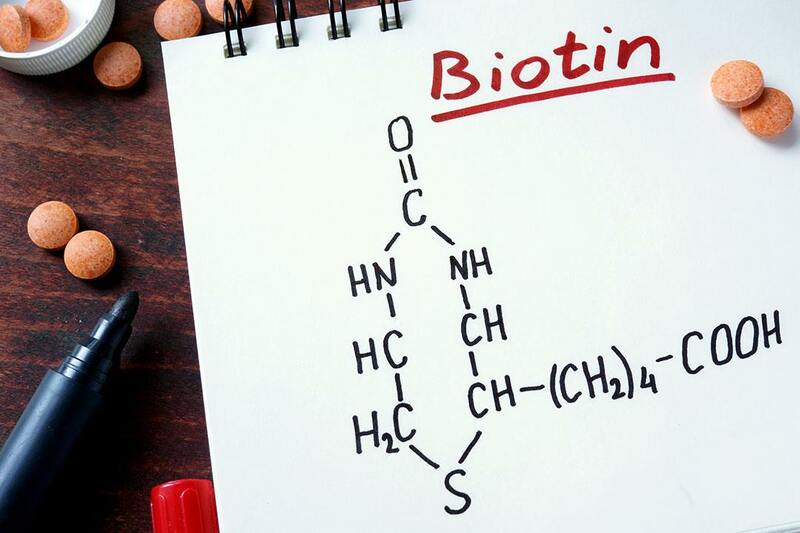 Biotin is needed for the optimal function of the enzymes called carboxylases, which in turn, are essential for the production of glucose and fatty acids. Food is broken down into sugar, and the sugar is then converted to energy for physiological function. Biotin transforms the fat, proteins, and carbohydrates into the calories the body needs. Biotin supplements are used to manage the symptoms related to its deficiency when a person’s diet isn’t as balanced as it should be. These are some benefits provided by the vitamins. #1. Biotin aids in the management of onychoschizia, also known as a brittle nail. In one study, nail thickness improved in all participants by 25% with the 2.5 mg intake of biotin daily for 6 to 15 months. #2. Since biotin deficiency is linked to thinning hair and hair loss, supplementing with the vitamin may be beneficial in promoting hair regrowth. #3. It is an essential nutrient during pregnancy that promotes fetal growth. It is estimated that 50% of pregnant women might experience a mild form of biotin deficiency. #4. Biotin, in combination with chromium, may assist in lowering blood sugar levels in people with type 2 diabetes. #5. Biotin aids in fat metabolism and may also help prevent dry skin. Due to the vitamin’s healing and moisturizing characteristics, massage oils now often contain biotin. #6. 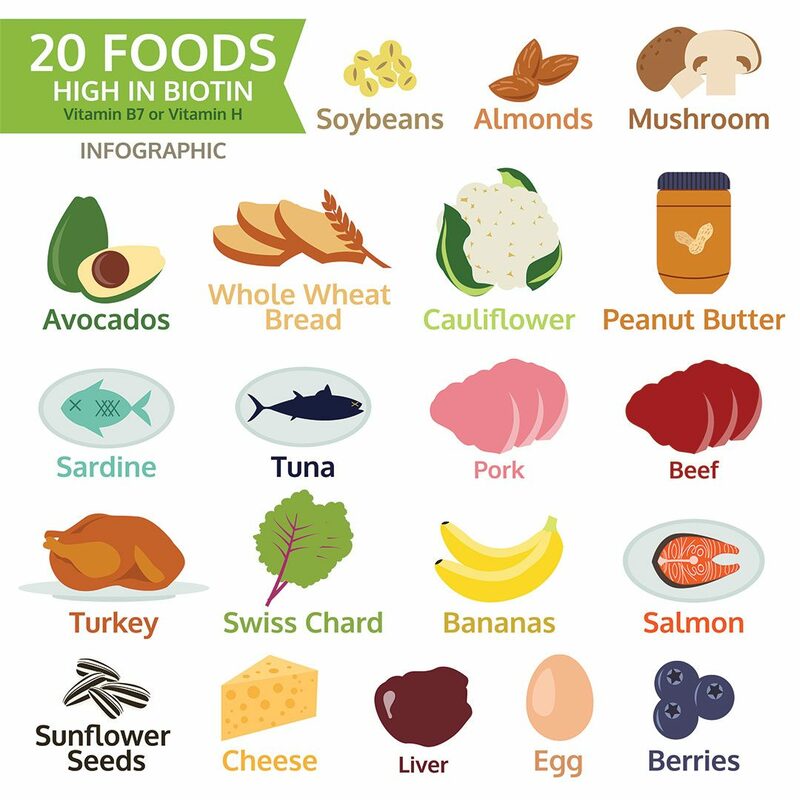 Biotin is perceived to be a major factor in the production of myelin, the protective covering of nerve fibers in the brain, spinal nerve, and eyes. Improved biotin production has been shown to improve progressive multiple sclerosis as shown by some clinical studies. #7. There is also evidence that biotin can alleviate the symptoms of fatigue and depression. While this list may not be all-inclusive, biotin is also used to manage seborrheic dermatitis (cradle cap) in infants. As with other medications, consult your physician when planning to give this supplement to children. The incidence of biotin deficiency is small, but it is better to know the possible causes to prevent any deficiency better. 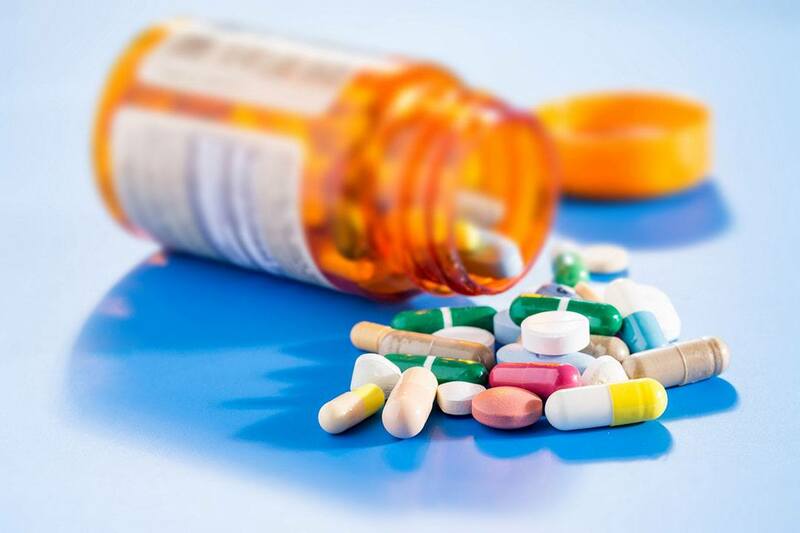 Prolonged intake of antibiotics that destroys the good bacteria in the gut. Anticonvulsants such as carbamazepine and phenobarbital. Intestinal malabsorption diseases such as celiac disease or Crohn’s disease. Intravenous feeding since the actual sources of biotin in food is usually missing. Long-term dieting since this restricts the absorption of biotin from natural foods. Biotinidase deficiency which prevents the body from reusing biotin. Cigarette smoking since it diminishes the absorption of nutrients. Excessive eating of raw egg whites since they hinder biotin absorption. Genetic disorders such as holocarboxylase synthetase deficiency and phenylketonuria. Not much is associated with biotin toxicity although taking them within the suggested limits is the safest route. Furthermore, biotin supplements are safe to take during pregnancy and while breastfeeding. Nonetheless, you should always inform your physician about any supplements you are taking and always consult a doctor when planning to give biotin to a child. Another consideration is the amount of biotin intake that will interfere with the results of some diagnostic tests such as biotin-streptavidin technology for measuring thyroid and other hormone levels. Supplementing biotin may interfere with the assays used in the tests and may provide false positive or false negative findings. A minor side effect among some users is the increase in the incidents of acne and rashes when taking biotin. When taking biotin supplements, the amount of biotin in the gut far outweighs the quantity of vitamin B5. Thus, this may lead to a vitamin B5 deficiency in some cases since this vitamin regulates the barrier function of the surface layer of the skin. In simpler terms, a vitamin deficiency of B5 could possibly lead to acne flares. If biotin deficiency is not addressed, the development of the so-called biotin deficiency face may exist. Clinical presentation of this is a characteristic facial rash plus an unusual and uneven facial fat distribution. Persistent biotin deficiency might also result in a compromised immune system and increased susceptibility to fungal and bacterial infections. Moreover, severe biotin deficiency during pregnancy might cause congenital anomalies such as cleft palate and lip. Biotin is not only taken by people for better health but also given to animals such as dogs and horses. The nutritional supplement promotes and maintains the growth of healthy hooves and coats. Horses might benefit from supplementation to address dry, brittle hooves, and cracked feet as well as chronic, recurrent laminitis. Similarly, dogs can benefit from biotin supplementation especially those with skin and fur conditions. A quality diet will provide sufficient levels of biotin for dogs but in some cases, there may be a biotin deficiency, and a canine-formulated supplement such as Bio Coat can be administered. For supplemental information on biotin, you may view the video below from Natural Health Remedies. Given the benefits of biotin, there are some instances where biotin supplements may not work as well as desired. These instances are usually the result of using an inferior product. Inadequate amount of biotin in the supplement – there should be at least 5,000 mcg to 10,000 mcg to make the supplement effective. Efficacy might be compromised with the lesser amount indicated. Allergies to other ingredients – although the main active ingredient is biotin, there are other ingredients in the supplement that are needed to produce the synergistic effect. Components that may cause allergies in certain individuals are soy, gluten, and fish to name a few. Quality of the product – if the price is too low, then the quality is likely to have been compromised. With these reviews, I aim to provide an overview of the different products, but the final choice will still be yours to take based on personal preferences or actual testimonials. If you plan to take biotin supplements, not all supplements are created equally. It is best to purchase high-quality supplements made from organic or real food sources. Avoid those with fillers and toxins. With its high biotin content, Natrol helps in promoting strong nails and healthy hair. Given its maximum strength of 10,000 mcg, it also supports cellular energy production and fatty acid production. It is a 100% vegan biotin supplement and free of milk, egg, fish, and shellfish. Aside from biotin, each tablet contains 66 mg of calcium with additional natural ingredients such as stearic acid, cellulose, magnesium stearate, silica, glycerin, and cellulose gum. Another advantage of this product is that it is natural and budget-friendly. I used this supplement before when I noticed that my hair was thinning because I just gave birth to our second child. Since I am vegan by choice, I preferred a supplement that will fulfill this requirement. I took one capsule once daily, and after three weeks, I noticed there was hair regrowth at the crown of my head. Even my hairdresser noticed the regrowth when I had my salon appointment after one and half months of using biotin. The product is a good supplement for growth and maintenance of healthy hair, skin, and nails. It aids in hair regrowth and strengthens nails to prevent cracking. It assists in the production of fatty acids, which in turn promotes cell growth. Aside from the biotin content, coconut oil is one of the leading natural ingredients. Together, they stimulate hair growth by increasing the bulb size of the hair follicles. With the additional coconut oil, it helps in maintaining a healthy scalp and makes the hair soft and shiny. With its softgel form, the idea is to provide a quick release vehicle so the nutrient can be absorbed quickly. This softgel is also favorable to seniors who have difficulty in swallowing large pills or for people suffering from dysphagia. The other ingredient contained in this brand is organic yellow beeswax. The natural ingredients of this supplement are favorable to those who are vegan and cancer patients who are taking only organic supplements. Vitafusion Extra Strength Biotin claims to support healthy hair, skin, and nails. It helps those people with thinning hair and suffering from cracked nails. Moreover, it aids in fat, carbohydrate, and protein metabolism. The supplement is suitable for people who also want to lower their blood sugar levels, especially for those with type 2 diabetes. It has a natural blueberry flavor and does not contain high fructose corn syrup and gluten. The unique flavor of this chewable makes it more tolerable than the usual pills or tablets. Each chewable tablet contains 5,000 mcg of biotin together with tapioca syrup, gelatin, water, sucrose, citric acid, carnauba wax, purple carrot juice concentrate, lactic acid, fractionated coconut oil, sodium citrate, and pectin. Since it has coconut oil, it will make your hair soft and shiny. As a supplement, it is recommended to take two chewable tablets daily for maximum results. Nature Made High Potency Biotin helps support healthy hair, skin, and nails and manages biotin deficiency. My sister readily cracked her nails, especially when doing her chores. She tried this brand, and after taking it daily for three weeks, she had stronger nails. She never had cracked nails again while she took this supplement, and they even looked healthier. Moreover, this supplement aids in the metabolism of proteins, carbohydrates, and fats. It comes in liquid softgel form to make it easier to swallow. This feature is helpful especially for seniors who have difficulty swallowing large tablets. Aside from its biotin content, the other ingredients are gelatin, soybean oil, yellow beeswax, glycerin and soy lecithin. It contains soy, so consider this when if have a history of soy allergy. The product contains natural sources only and no synthetic dyes, artificial colors, or preservatives. The recommended dose is one softgel per day. Nutricost Biotin provides a 10,000-mcg dose of pure, highly bioavailable nutrients for support of healthy hair, nails, and skin. The advantage of having pure biotin is that it does not need other ingredients which may cause allergy or stomach upset. The product is recommended to be taken only by people 18 years of age and older. With this, take caution that it is not administered to children below 18 years old. If there is a necessity, always consult a physician first. One capsule is all you need per day to reach the suggested daily intake of the biotin. Also, every bottle provides 240 servings of the vitamin for a minimum of 8 months’ worth of doses. The other ingredients in this product aside from biotin, are gelatin and rice flour. These simple and natural ingredients make this brand safer for those who are avoiding gluten and are vegan by choice. This supplement is suitable for people suffering from Intestinal malabsorption diseases such as celiac disease or Crohn’s disease because of its mild natural ingredients. With the research and review of these top 5 biotin supplements, it turned out that Natrol Biotin Maximum Strength is the best biotin brand on the market. It has fulfilled all qualities of a stable and efficient biotin supplement regarding quality and overall health benefits. Its potent dose of 10,000 mcg is enough to produce the desired effects of promoting hair growth, stronger nails, and healthier skin in the shortest duration possible. It is the best vegan biotin supplement which makes it acceptable to a broader consumer base. It is also very economically priced, which makes it accessible to all types of users. As with all supplements, consult a physician is if you are planning to take the supplement. There is no harm in seeking medical permission, and it may avoid having complications at a later stage. I hope that this review of the best biotin brands will help you understand why the supplement is beneficial for health. If you enjoyed this review or if you would like me to consider reviewing other products, please let me know in the comments section. What Is The Best Nature Made Fish﻿ ﻿Oil ﻿Review﻿ In ﻿2017﻿?